Each week the MEF team curates mobile stories from around the world. 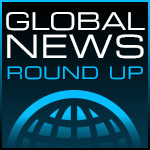 Essential news, the latest market insight & data nuggets, the Global News Round-up offers an instant international mobile content and commerce snapshot. Yahoo is buying mobile ad company Flurry. 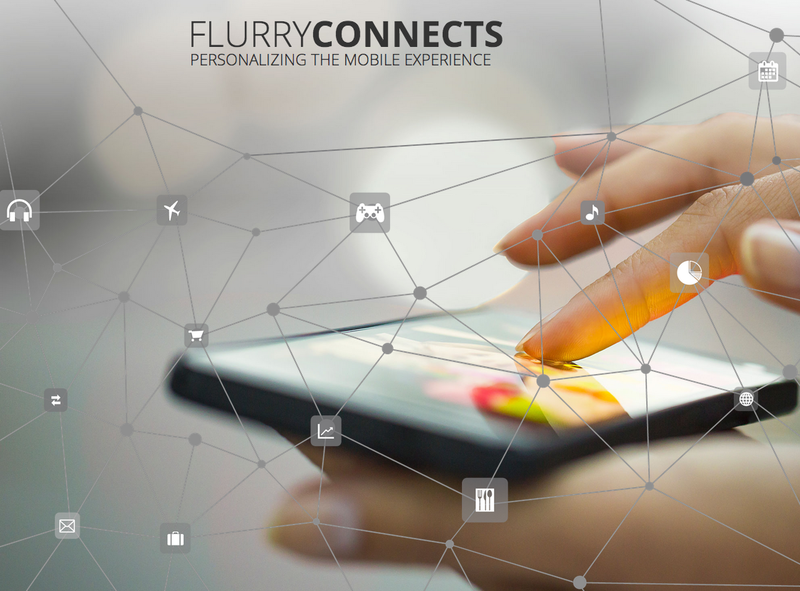 Flurry is an app analytics and advertising company. News of the acquisition was first reported by Re/code’s Kara Swisher. The acquisition is reported to be in the “hundreds of millions,” according to Swisher’s sources. TechCrunch reports that Yahoo will pay at least $300 million for Flurry. “By joining Yahoo, Flurry will have resources to speed up the delivery of platforms that help developers build better apps, reach the right users, and explore new revenue opportunities,” Yahoo said in a press release. Facebook’s Q2 Earnings: Is There A Fly Somewhere In All This Ointment? Once again, Facebook’s results came in ahead of the analysts’ consensus — way ahead, according to Seeking Alpha. The company reported $2.9 billion in revenue, a 66% jump over the same quarter in 2013, and net income of more than $1 billion. “We had a good quarter,” is how Zuckerberg put it in the earnings release. More after the call. Microsoft MSFT +0.09% is tussling with the Department of Justice over emails the government wants from a Microsoft online account in Europe. The company’s General Counsel Brad Smith says the government is unfairly trying to enforce U.S. laws beyond the country’s borders. In this video, Smith tells the Journal’s Dennis Berman why he opposes government demands on personal consumer data and why there need to be clear rules and protections for people who use technology. 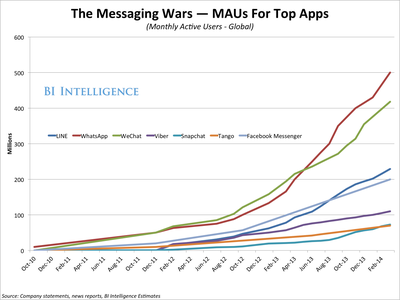 Messaging apps like WhatsApp and WeChat are huge and getting bigger. BI Intelligence’s data shows that WeChat, LINE, WhatsApp, and Snapchat are all growing their user numbers in 2014 at a quarterly rate of 15% or higher. Like social networks before them, these apps are becoming the hubs for everything global smartphone audiences do on mobile. Messaging apps help people connect with one another, share photos, video chat, and, increasingly engage in activities that earn significant revenue for the apps, including playing games, buying digital goods, and even shopping offline. While Amazon is calling it a wallet, you can’t actually make purchases using the app. 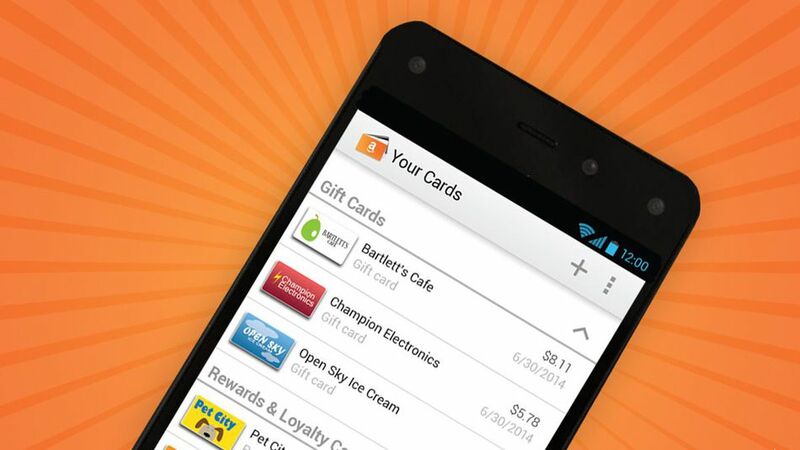 Instead, Amazon Wallet functions as a vault to store rewards and gift cards. Users enter their card information manually or by scanning them with their device’s camera. Once stored, the app will display the card’s balance and rewards information. The app, which will come preloaded on Amazon’s Fire Phone when it ships later this month, currently supports gift cards for a number of major retailers, grocery stores and restaurants. Will Messaging Apps Be Gaming Hubs in the U.S.? Toward the start of the year, one of the big trends to watch in mobile gaming was the spread of messaging apps. The apps are already a phenomenon in Asia, with Line, KakaoTalk and Tencent-owned WeChat leading the charge in Japan, Korea and China, respectively. Now a few big players are targeting the West as the next battleground. 67 per cent of 16-24 year olds identify advertising as a major turn-off when it comes to apps, according to research from Voxburner. Ads are even a bigger problem than performance issues, with just 45 per cent identifying long load times as a turn-off. However, with 76 per cent saying they aren’t keen on paying to download apps, there’s a big question mark on how developers should best monetise their apps. Voxburner identify freemium as the best choice, but it’s worth noting that only 30 per cent of 16-24s have ever spent money on an in-app purchase. In response to feedback, Microsoft’s Xbox One will enable users to remotely purchase games and add-on content using Xbox SmartGlass–a companion app for Windows, iOS and Android mobile devices–or on Xbox.com. “No more waiting to begin downloading when you get home–if your console is set to automatically take updates, your console will begin downloading your purchase,” explains Xbox’s Larry Hryb, who goes by the handle Major Nelson, on the Xbox Wire blog. In June, Microsoft launched Xbox Feedback. In response to opinions gleaned from that channel, the company is adding mobile purchases to its repertoire with the next update, which will be available to users with early access this week and to other users next month. Though the app stores continue to fill up with ever more mobile applications, the reality is that most of these are not sustainable businesses. According to a new report out this morning, half (50%) of iOS developers and even more (64%) Android developers are operating below the “app poverty line” of $500 per app per month. This detail was one of many released in VisionMobile’s latest Developer Economics report (for Q3 2014), which was based on a large-scale online developer survey and one-to-one interviews with mobile app developers. This report included the responses from over 10,000 developers from 137 countries worldwide, taking place over 5 weeks in April and May. Previous PostIndustry Views: Will Yahoo's Flurry acquisition help it face down competition from Google and Facebook?